Since March is National Nutrition Month, it's the perfect time to focus on exploring new foods, flavors and as the Academy of Nutrition and Dietetics states "Enjoy the task of eating right". Eating right includes not only making informed food choices but developing sound eating habits and physical activity habits. 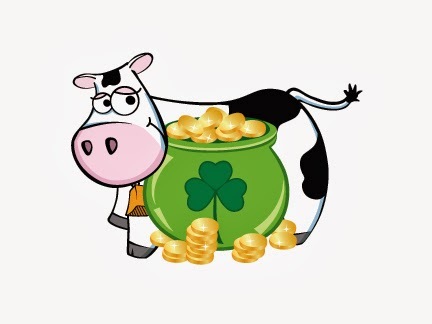 Dairy foods are a perfect fit for celebrating National Nutrition Month! I'm planning a personal celebration by trying some tasty nutritious recipes from Dairy Makes Sense that will expand my nutritional horizons. I'm living proof---you're never too old to improve my eating habits or try new recipes! In a medium bowl, whisk together yogurt, garlic powder, onion powder,pepper and salt. Slowly pour in buttermilk, whisking constantly. Mix in chives. For best results, make dressing ahead of time and let sit in refrigerator overnight. Preheat oven to 400 degrees F. Wash and break ends off of asparagus. On a baking sheet with a lip (like a jelly roll pan), place asparagus and drizzle with olive oil. Sprinkle with salt and pepper; toss until fully coated. cook for 10-12 minutes (depending on size of stalks). Let cool 5-10 minutes before serving. 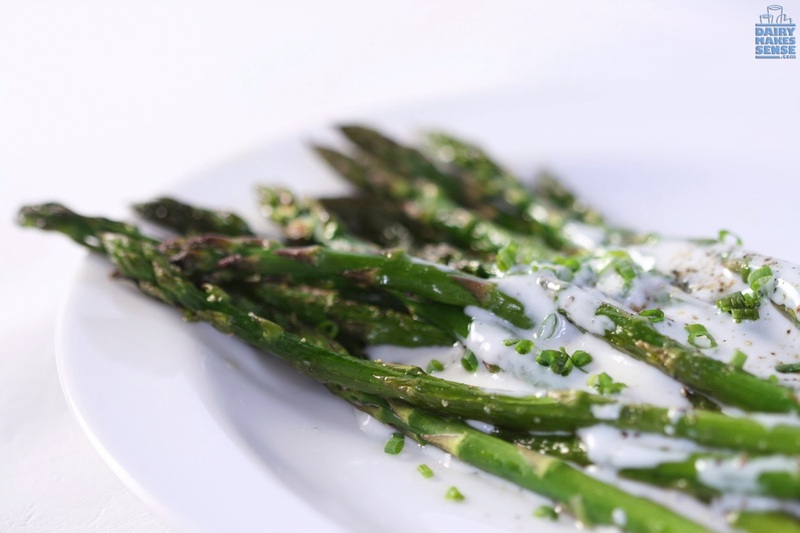 For each serving, divide asparagus into six shallow bowls and pour 1/3 cup dressing on top. You can enjoy the taste of eating right with dairy!